MANSFIELD, LA - Funeral services for Mr. Floyd Ray Porter, 73, will be held at 1 0:00 a.m., Tuesday, July 7, 1998 at Antioch Baptist Church, Mansfield, LA. Officiating will be Rev. Marvin Bartlett, pastor of Antioch Baptist Church. Interment will be at Pinecrest Cemetery in Atlanta, TX at 2:00 p.m., July 7, 1 998. Funeral Home visitation will be 5:00 p.m. until 8:00 p.m., Monday, July 6, 1998. Mr. Porter passed away on Saturday, July 4, 1998 in Texarkana, AR. He was a native and lifelong resident of Mansfield, LA - DeSoto Parish. Mr. Porter was an Independent Lease Broker, Landman and Oil and Gas Operator. He was a member and deacon of Antioch Baptist Church, where he loved and served the Lord. He was a graduate of LSI) and served in WWII as a Sgt. in the 82nd Airborne Div. of the U.S. Army. Mr. Porter was preceded in death by father, W.A. Porter, Sr. and mother, Thelma I. Spears. Survivors include, his wife, Peggie McDonald Porter; daughters, Marie Smith and husband, Jerry N., M.D. and Judy Dossey and husband, Jack; son, Thomas A. Porter and wife, Marthalie; sister, Nancy Gathright and husband, Larry; brothers, W.A. Porter, Jr. and wife, Billye Sue, Whit Porter and wife, Linda, Steven Porter and wife, Jackie; step-mother, Josie M. Porter and grandchildren, Allen Porter, Philip, Scott and Erik Dossey and Neal Smith. 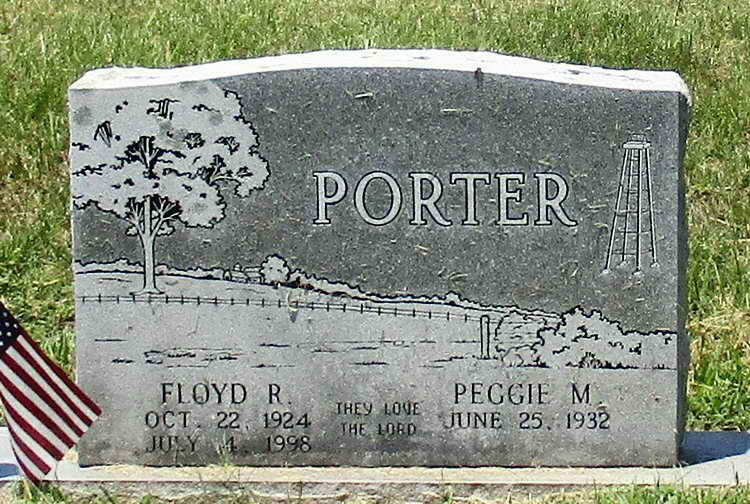 Grave marker for Floyd R. Porter in Pine Crest Cemetery, Atlanta (Cass county), Texas. 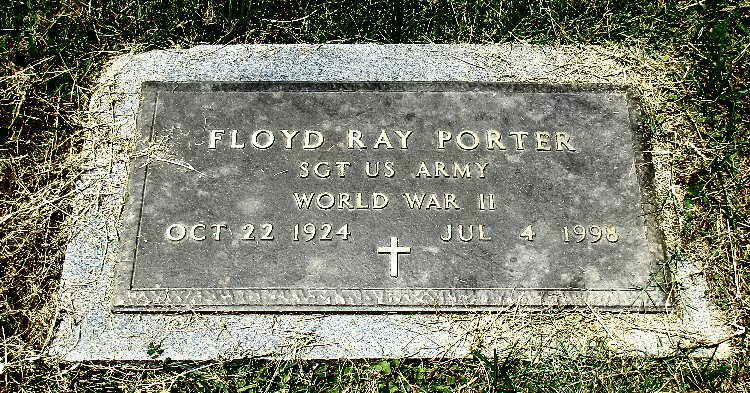 Floyd enlisted in the Army at Shreveport, LA on 16 July 1943. On 18 September 1944, Pvt Cooper was transferred to Service company, 508th PIR from Hq 82nd Airborne Division, Leicester, England. He was appointed to the rank of Pfc on 8 January 1945.